Bali is an island that is very unique. Here you will find traditional items that you rarely find in other places. as long as you are still on holiday here, it never hurts to buy a typical Balinese souvenirs to take home. This area was once destroyed by an explosion in 2005, but has now bounced back. Here there are many shops selling well-known brands. Many discounts are offered almost every day. 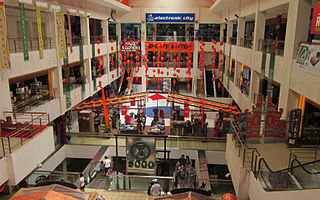 In this area there are Matahari Department Store which also sells souvenirs typical of Bali. This shopping area is more suitable for you who can not bargain. The price offered in this place is normally a reasonable price. Poppies is the name of the street that are right in front of Kuta Beach. Around the area there are many shops selling Balinese goods such as sandals, clothing, housewares, bags, accessories, souvenirs and even book cheap prices with imports. Get out entire tricks you bid and get goods at a very low price. This place is better known as Centro, one side facing Jalan Kartika Plaza, the other side directly overlooking Kuta Beach. Goods offered almost the same as the items contained in the mall. But if here after shopping you can enjoy the view of the sunset in the afternoon. There are a variety of hand crafted silver, gems, and gold. Original creation was from Jewelry Gemala team work. This place is located in Jalan Raya Seminyak. There are various collections for young fashion. The shop is located in several areas in Bali such as Seminyak Flagship Store, Jln Legian, Discovery Mall, Kuta Square, Legian and Seminyak Factory Outlet. Provides a variety of distinctive collection of beautiful clothes with white, cotton, rayon silk, border Bali, which is extremely elegant. This place can be found in Jln Pantai Kuta, Jalan Monkey Forest Ubud, Jln D Tamblingan Sanur, Legian Jln. Along street in the art market, offering a variety of Balinese art accessories at prices relatively cheap. This market is located in Kuta near the Sun Center Shopping Mall. Provide a wide collection of T-shirts and a variety of unique clothing colors appropriate for very young children. The shop is located at Jalan Legian 138, Kuta. Along Jalan Legian, you will find a variety of shopping venues ranging from small shops selling souvenirs bali to renowned world-class boutiques. Sell various types of ceramics with contemporary style and minimalist as well as distinctive colors. If you want to learn make pottery or ceramic coloring can also be done here. The ceramics galleries can be found at Jalan Uluwatu II, Kuta, Jimbaran. Provide a variety of goods such as arts & crafts, sculpture, accessories, and even clothing Bali. Ubud Art Market is located in central Ubud. Walking down the center of Ubud. You will find several stores that offer a variety of handicrafts such as paintings, silver and many other local artists. Village Terrace is an area where artists Gianyar market their products. Village Terrace Along the way there are a variety of crafts ranging from interior, Balinese accessories, furniture, and much more. The art market is indeed made for the traders of art at low prices. Various types of art can be found here. Shopping unwritten rule here is mandatory bid. Provides a variety type of processed foods such as sausage, jerky and more. The place is located near the Supermarket Tiara Gods. Selling a variety of local goods ranging from food to clothing Balinese at a cheap price. Provides a variety of snacks such as salak Bali bali, bamboo leaf wrap lunkhead, salted nuts, chips or chicken claw. Sells a wide collection of T-shirts, mugs, magazine cartoons, cartoon poster bag. Here you can order a portrait in the style of cartoon images. When you want the member surprise for her friend to bring souvenirs cartoon himself, once he arrived in Bali can immediately deliver it to your friend’s photo on the way back, the cartoon is ready you take it. Price starts from Rp200000 to Rp350000. Bog Bog store located on Jl Veteran 34A, approximately 800 meters from the heart of Denpasar. Located adjacent Degnan Erland store. Here also available Balinese handicrafts souvenirs at low prices. No need to bid because the price is cheap. Krisna Souvenir Shop located at Jl Nusa Kambangan. Here many Balinese handicraft souvenirs at affordable prices. No need to bid. Prices are very cheap. On the same street there are two stores Erland. Erland Souvenir Shop located at Jl Nusa Kambangan.